When most people are sick, they fix themselves a nice hot cup of tea. For me, it’s a piping hot mug of homemade broth. Here is my reason why…. It was exactly one year ago this month that I discovered a new lifestyle that changed my life forever. 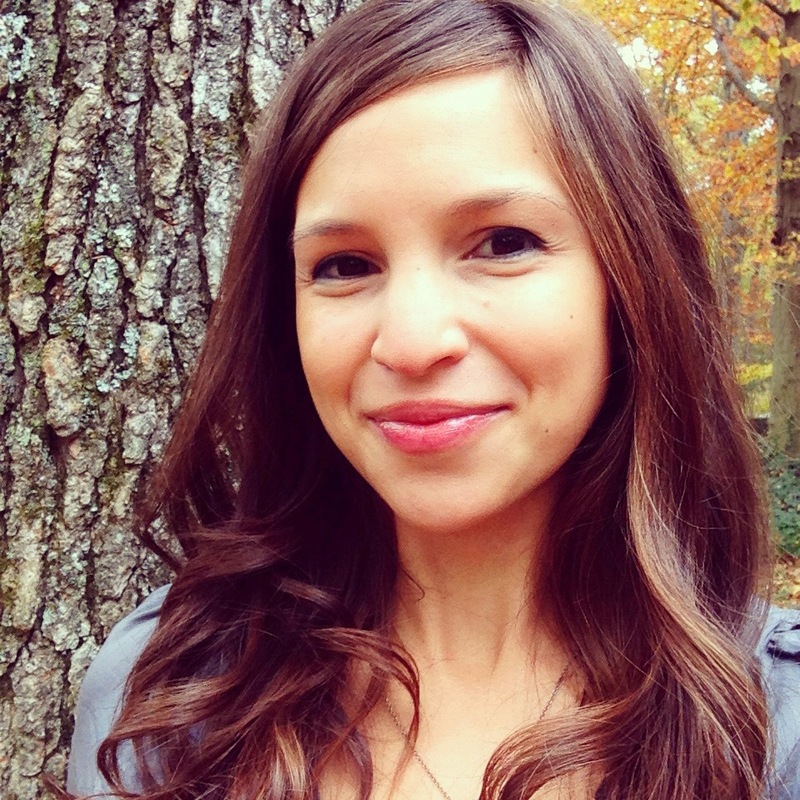 I was almost 5 months pregnant, suffering from a severe flare up with my Crohn’s disease. I had not been able to gain ANY weight in my pregnancy ( I had actually lost weight…) I was so afraid to eat anything because EVERYTHING was making me sick and caused pain beyond your imagination. I was so sick, unable to manage my daily life, taking care of my other 3 children. I was concerned for not only my health, but the life of the baby I was carrying. I went to my GI and without even running any tests or checking labs or blood work, he wrote out several prescriptions including steroids… I went to the pharmacy, got the meds and headed home. I felt so uneasy about what ill effects these serious drugs would have on my unborn child. Everyone kept saying, your health comes first, you need to do what is right for you. But I am very stubborn and you can’t blame a mother for putting her child first… the idea of those steroids reaching my baby, was frightening. So I got on the internet and started searching out alternative treatments and came across the Specific Carbohydrate Diet. I was definitely put off by what seemed to be an extremely restrictive diet, but the science behind the diet made complete sense. I figured I would give it a go for a few weeks and if it failed, I would use the meds sitting in my cabinet. The diet works in phases, beginning with the Intro diet, which is basically homemade chicken broth and the tender carrots and chicken cooked in the soup. There are couple other random things on the list, but basically this is what I ate… for 3 days. And you would not believe that I was symptom free….. after JUST 3 days. This diet was a Godsend, a miracle, that saved my life. I slowly worked my way through all of the phases, keeping a very detailed food diary to figure out what foods I can and cannot tolerate. It has taken almost a year to get to this point. But I know my body now more than ever and can tell if I didn’t eat something right almost immediately or if stress or sickness is triggering my Crohn’s. The first thing I do at that point is make a big batch of broth. I truly believe that bone broths have healing properties and are extremely beneficial to the immune system. You can read more about that here and here. Broths have been used for medicinal purposes for years, specifically in Chinese cultures. It is known for its natural anti-inflammatory properties and loaded with calcium, minerals, and gelatin which helps aid in digestion. So, it’s no coincidence that mothers of many generations have made chicken soup for their kids when they are sick! So if you know anyone out there suffering from any allergies, autoimmune disease or illness, please share with them the SCD. There is hope. I know it is hard for people to imagine eliminating certain foods from their diet, but if it means a pain free, medicine free, happier and longer life, wouldn’t it all be worth it?? 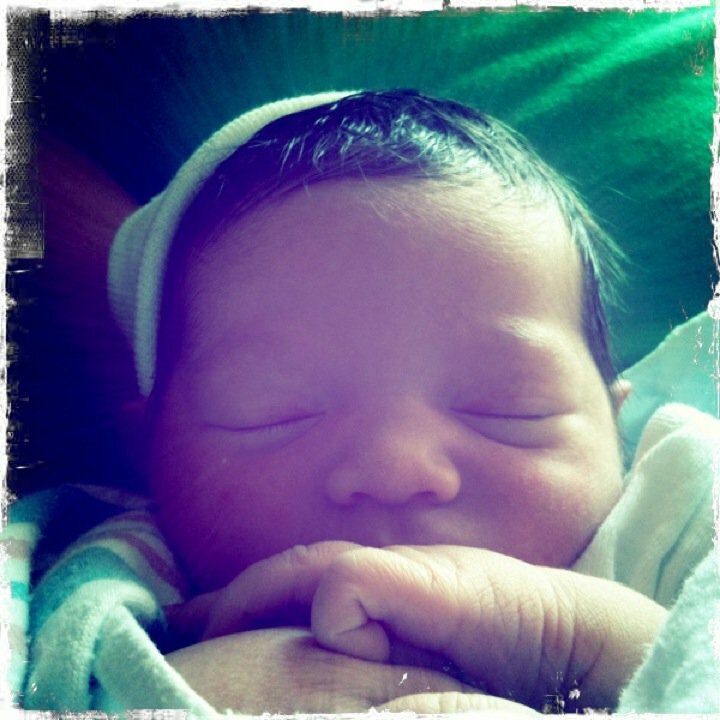 Oh and in case you didn’t already know, I carried my pregnancy to term and had a healthy 7 lb baby girl! She is perfect. I love her and am so grateful for Elaine Gotchall and the SCD for giving me a second chance at life. I don’t usually share alot of personal things on here about my family and such, but this diet and specifically this soup has impacted my life immensely. 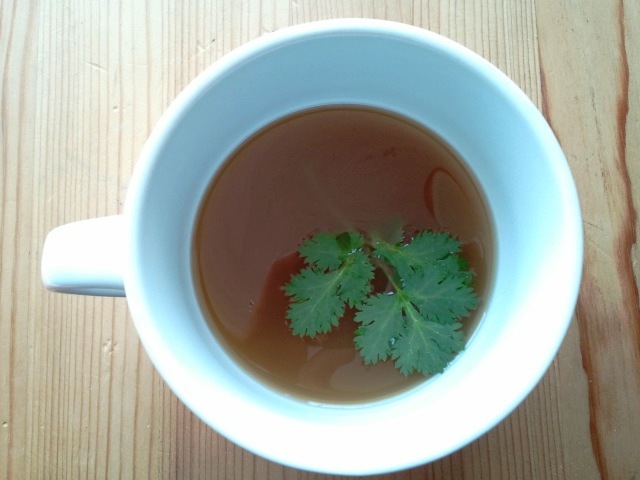 Now, there are two different ways to achieve good bone broth. You can use either a whole chicken or leftover bones. We roast a chicken almost every week for a simple dinner. Then I use the bones to make broth for the week. Whatever you do, do NOT throw out your bones, do not waste them. If you don’t have time to make a broth right away, simple throw them in a ziplock bag and freeze them. The benefits to making it with a whole chicken, is eating the tender chicken along with the soup, more like a meal. However, I prefer to drink my broth, rather than “eat” it, so I tyically make my broth with bones only. Place all of your ingredients in a large stock pot. Fill the pot with water, several inches above the chicken. Slowly bring to a boil, then let simmer away for at least 4 hrs. The longer the better. Remove chicken, strain your broth. After chicken is cool enough to handle, remove meat and either place back in broth or use in another meal. Place broth in fridge. After it is cold, any excess fat will naturally separate and you can skim it right off of the top. You will end up with a beautifully rich and dark broth. Nothing like what comes in a can or carton. Once you make your own, you may never go back…. I use this broth as a base for soups, to make sauces or like I said before, just on its own when I’m not feeling great. Believe it or not, I’m not very good at making homemade broth. My mom made an excellent one, but I can’t seem to duplicate the results. When you start your broth do you have to skim off foam? I always seem to get foam and wonder if I’m doing it wrong or it just comes with making broth. Also, when you use a whole chicken like in your picture, does some of the meat fall off the bones? If I only want broth, what is the left over meat good for? Is it tender or will it be a little dried out? While cooking the chicken does become quite tender, but I always manage to keep it in one piece. Just don’t stir or agitate while it’s cooking. The meat is delicious on it’s own or added to vegetables for a casserole. It will definitely fall right off of the bone, be tender and very moist. The breast meat is the firmest and could even be eaten on a salad. I’m going to give this a go this weekend. I’ll let you know how it turns out! Oh, do you think it can be done in a crock pot if its big enough, or the chicken is small enough? Michelle, I have never attempted to make it in the crockpot, although I have heard about it. If you try it, please let us know how it turns out! I just stumbled across your blog. It looks fabulous. I am really amazed to hear your story, I think changing our diets can do so much more (more than even medicine.) Just wanted to say I love this broth too… Dan and I have been making chicken (or turkey) broth a lot lately and I think its been so good for our health this year. Not only is it delicious and healing, its a great base for soups and cheap! Thanks so much for sharing your food knowledge… i look forward to trying your recipes! I love homemade chicken stock (that’s what us Aussies call it) – however, it is very expensive to buy a good organic chicken, so my trick is buying packs of the super cheap organic wings and just using them to make a stock/broth. You get the best of both worlds as there is a little meat to use and plenty of bones to flavour it! I didn’t see this post earlier, but I do have roasting a chicken and then using the bones for broth on my menu for next week. :) I like doing it that way, because it really helps stretch that chicken out. Plus the broth is so yummy. I’m finding that my tummy has been giving me more and more issues the past few weeks. I may wind up going to just broth for a few days just to settle it all down and start over from there. It’s amazing just how much your gut can affect your whole day. Glad you found this “diet” and have learned what you can and can’t eat!! Thanks for sharing your story. I wanted to thank you for sharing your personal story and precious photos. I have been blessed by your web site and your journey. I have had digestive problems for a long time, since childhood really. I began experiencing health problems that I linked to Leaky Gut. Since then, I recognize how widespread this problem is and how many doctors are telling these patients to go gluten free. I am on my own journey to healing and I have a cautious relationship with my family doctor who works very well with me. Since going gluten free i have no more body swelling, have dropped 18 lbs and I feel like I am back in college again. I have put my whole family; my husband, my 19, 16,13 and 11 year old all on gluten free too all with the help of your web site. I believe that there is total healing for people with crones, autoimmune diseases, thyroiditus, and fibromyalgia. God bless you on your path to healing and know that your journey is encouraging to others. Thanks for this broth recipe, I made it last night and it tastes delicious after sitting in the fridge overnight. My stomach feels great when I have it. I read the article you linked to regarding the benefits of real bone broth – and I’m never going back! I can’t believe how good this stuff is for you. Thanks for sharing! Is it OK to use the chicken “necks and backs” that I bought at the organic market for this broth? Do chicken necks and backs have all that we want in terms of gelatin, glycine, and proline? I have actually starting using necks and backs too, they are an excellent source of nutrients. I love you blog! have made almost all of your recipes and my family loves them! quick question! If I use a whole chicken to make broth, then remove chicken and strain broth. 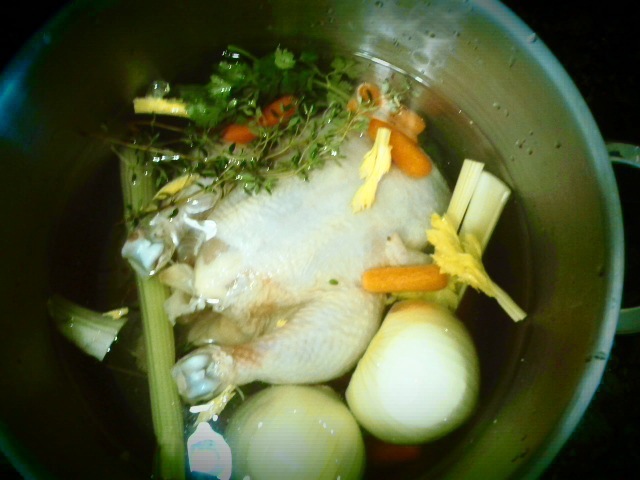 Then could I use the bones from that chicken and make more broth? Also, do you just use the bones once and then they are done or can you get more than one pot from the bones. I have heard of people using bones again to make more broth, however, I’m not sure what health benefits or flavor would be left after making the first broth. I only use my bones once, because I like my broth to be extra – nutrient dense (if that makes any sense :) ) But, I do know others re-use them. Perhaps the second batch would make a lighter broth, still useable and probably tasty and can be used in cooking. I’ll have to try it out. Great question! Just found this site through my sister discovering the 3 ingredient banana pancakes. I love bone broth. There was a question regarding using a slow cooker. Yes, it works well. Especially for the person who also works outside the home (I hated when people thought I didn’t work because I stayed home with small children!). I have also used a pressure cooker with success. Any chicken parts work. I have used chicken feet-took a minute to get past the eww. Needless to say, as clean as they looked, I scrubbed them with a vegetable brush first! Hi, terrific recipe! Thanks for sharing, I have IBD myself and am making this soup today. I decided to add baby spinach, and tons and tons of turmeric! Thanks to all for the positivity here :-) I made the chicken soup yesterday and I’m sieving it and drinking the stock as my Crohns is active. Much better than the drinks the hospital have given me as the sugars in them are bloating me and feeding the candida. I’m cutting down on steroids and hoping through using these soups to build my immune system. I’ve had more probs since steroids than I ever had while dealing with IBD without them! Any thoughts on organic yoghurt to build pro biotics? Glad I came accros this site :-) Thank you. Do you return the carrots (usually pureed) to the broth or are they gone with the rest of the veggies? Thank you very much for sharing your ability to cook for us , SCD people, I am most grateful. ( Ps: I am French, .. Excuse my English writing).